Here it is, Flash stamp art! 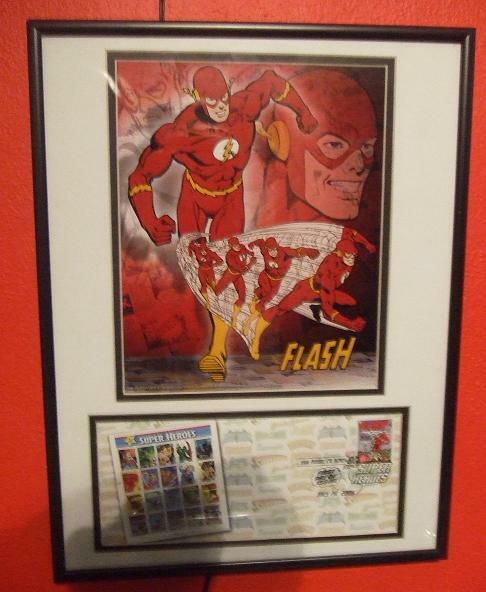 Now it didn’t come framed, I had to do that, but all the matting was done. And the matting is fantastic. The lower piece shows a picture of the sheet of stamps and then it is post marked with the date and address of San Diego Comic Con since that is where the post office first revealed the stamps. The upper image is a great picture of Barry. 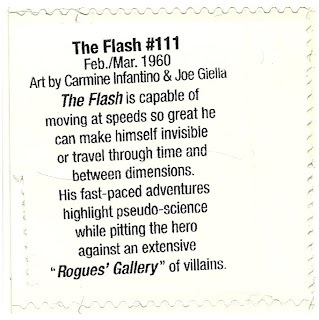 Even though this was during the time Wally was the current Flash, DC was going with the “classics”. Anyway, I love the piece and it proudly hangs on my Flash wall. But wait there is more. 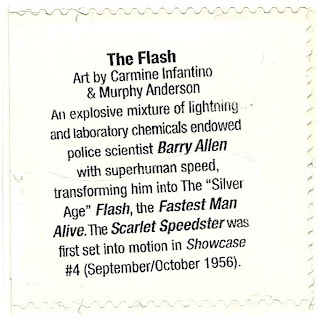 Incase you missed the stamps I scanned them for you. 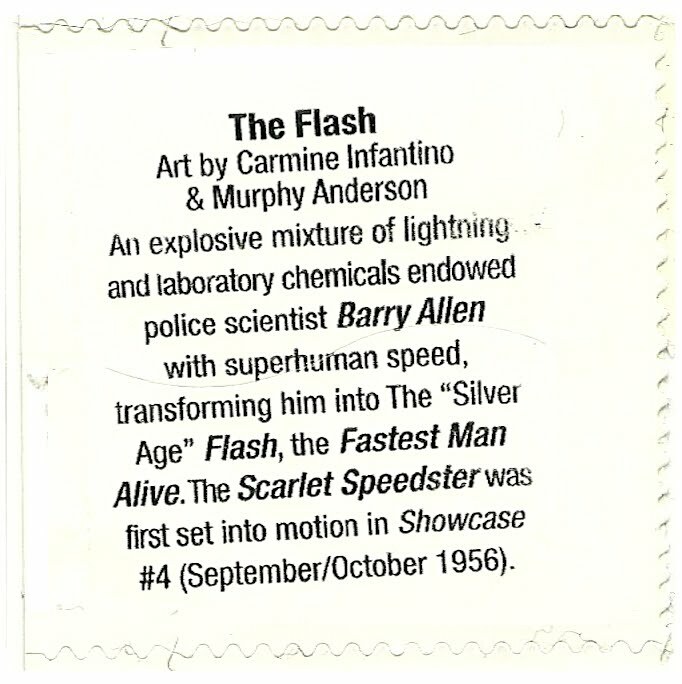 Besides picking fantastic Infantino art for the stamps, the back of the stamp’s packaging gave information about the writer. 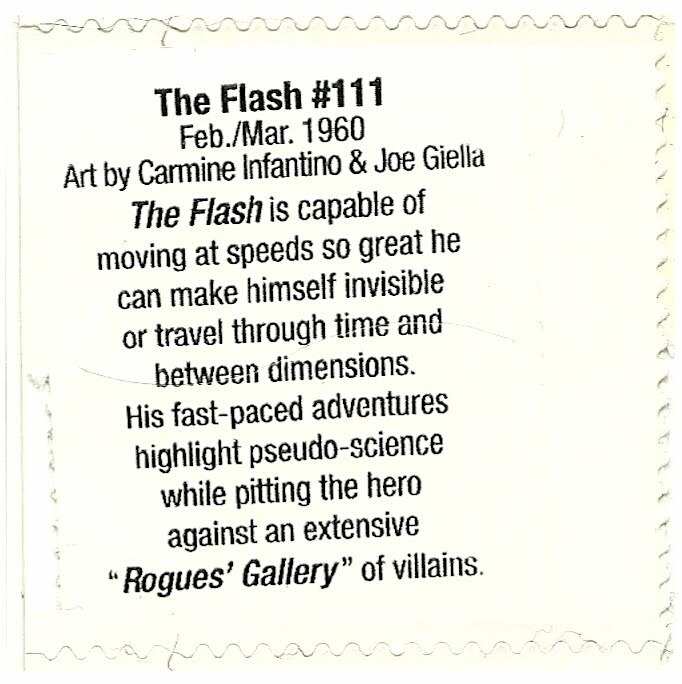 I’ve scanned the front and back of both Flash stamps. 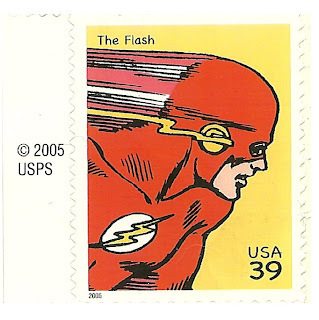 Consider it a Flash Friday bonus. 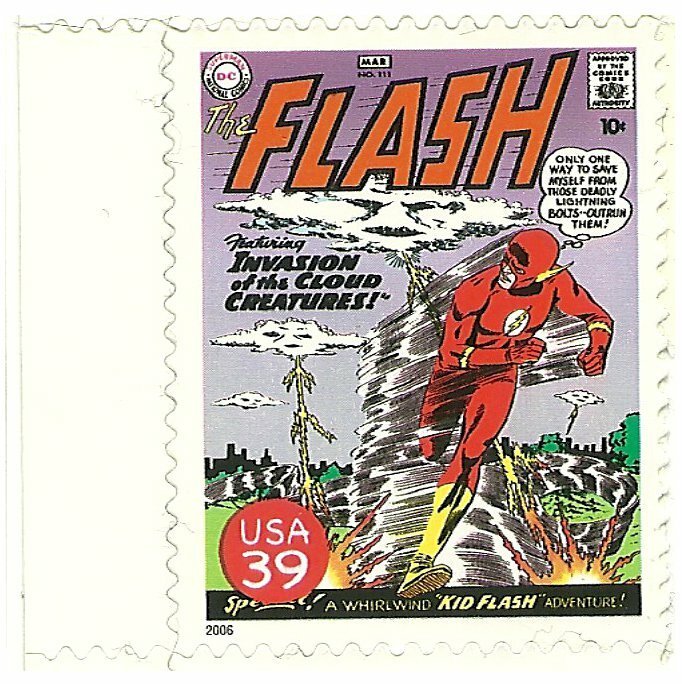 See you next week for more Flash Friday. I have that 1st sheet and had every intention to buy the larger poster but never quite got around to it :( Oh well, it's really cool though!